22 But the fruit of the Spirit is love, joy, peace, forbearance, kindness, goodness, faithfulness,23 gentleness and self-control. Against such things there is no law. I love this teapot that my sweet husband got me one year for Christmas. It lists all of the fruits of the spirit and reminds me of things that I should be exhibiting every single day. I know I say it every week but this is one of my favorite teapots. It really is. How could it not be? Hope your Tuesday is filled with warm cups of tea and lots of great conversations with friends. What a thoughtful gift from your hubby. This is a very meaningful teapot n so many ways. Happy end of November. Will you be at your house for Christmas this year? Thanks! 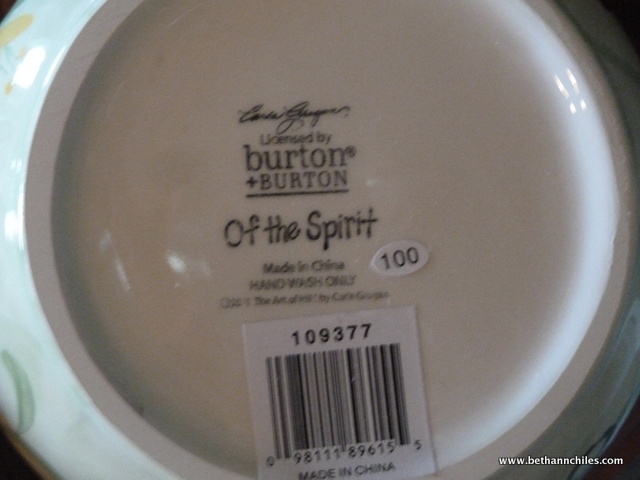 I love this one as well but then I kind of say that about all of my teapots in my collection, don’t I? Thanks for stopping by! Gorgeous teapot!! You do have some amazing finds in your vast collection. Thanks for all the sharing and the “tea quotes” you always include. Have a blessed day. Thanks so much, Rachel. I do love this one and yes–my collection is vast. 🙂 It is kind of ridiculous and last week someone gave me 2 more as gifts. I rotate them in and out now which reminds me it is time to get out the bins of Christmas teapots! Oh I love that! I am sure that is one ting that brings you much happiness when you look at it and since it has a place of prominence in your kitchen you get the opportunity to see it often. Thanks for sharing! 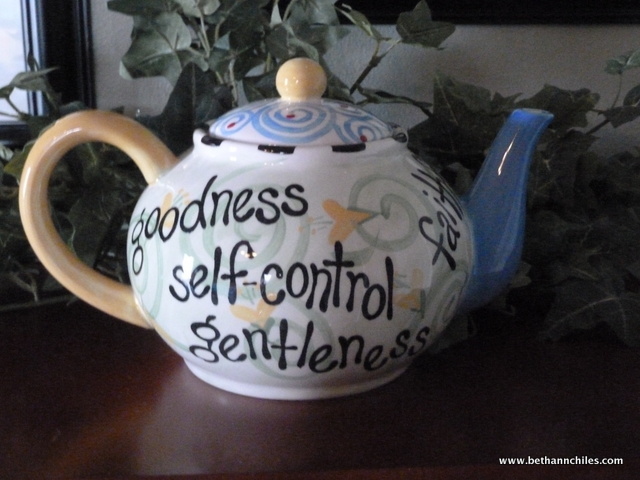 I love this teapot too because of the WORDS. The words are perfect, aren’t they? 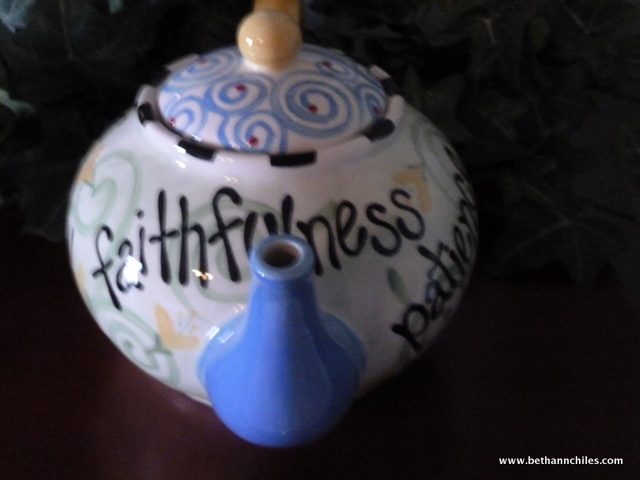 It is a functional and inspirational teapot and one that makes me smile when I use it. Which reminds me, I need to use it today! Inspirational! Motivational. It’s all in the pot or at least on it. It is! Thanks for stopping by, josh! It means a lot! Thanks, Susi! It’s a good one! This is so so pretty! I love the sentiments expressed. I also love this series. I always mean to check on your posts but sometimes forget.